It has been 13 long years since the horrible events of September 11 unfolded on television screens around the world, and that means for 13 years there has been a void in the heart of Manhattan that has not been filled. It took what seemed like forever to start on the replacement for the Twin Towers of the World Trade Center, and in that time the families and friends of 9/11 victims received little closure. However, it looks like the WTC is back and in a very big way. One World Trade Center has opened for business, and it appears to be better than ever. It’s not the world’s tallest building, but it is the tallest building in the United States at 1776 feet tall. The tower is bolstered by the spire atop it, but even without the spire, it’s no shrinking violet. 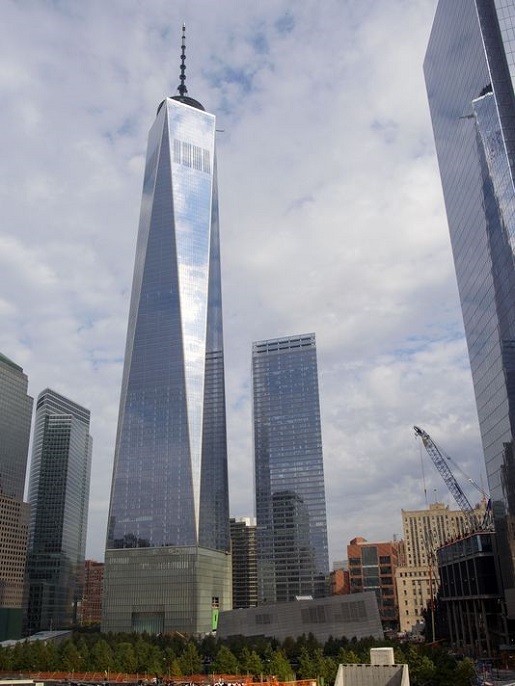 One WTC is 104 stories tall and cost a staggering $3.9 billion dollars to construct. However, the steel, glass, and concrete structure exceeds all building codes, and is–according to its builders–one of the most terrorism-proof buildings in the world, which much be a relief to new tenants like Conde Nast and the federal government’s General Services Administration.